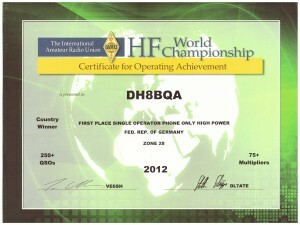 Received the contest certificate for IARU-HF 2012 from our local club’s QSL manager. 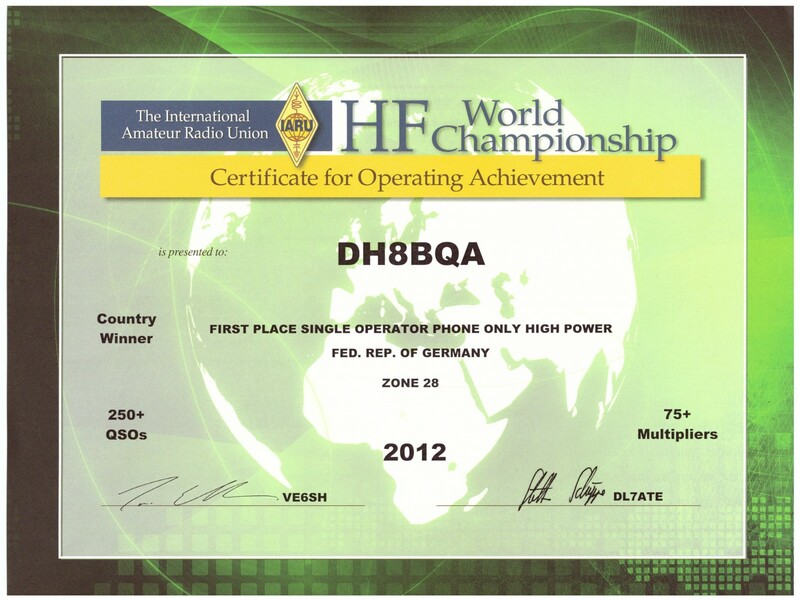 IARU contest certificates are usually sent along the national QSL bureaus. Maybe that’s the reason why it took so long or maybe ARRL, who is managing the contest, was simply busy creating all the certificates for recent contests. Heard they have some trouble, too, i.e. currently no contest manager available and all work is done by temporary guys right now. Keeping fingers crossed they will resolve the problems.